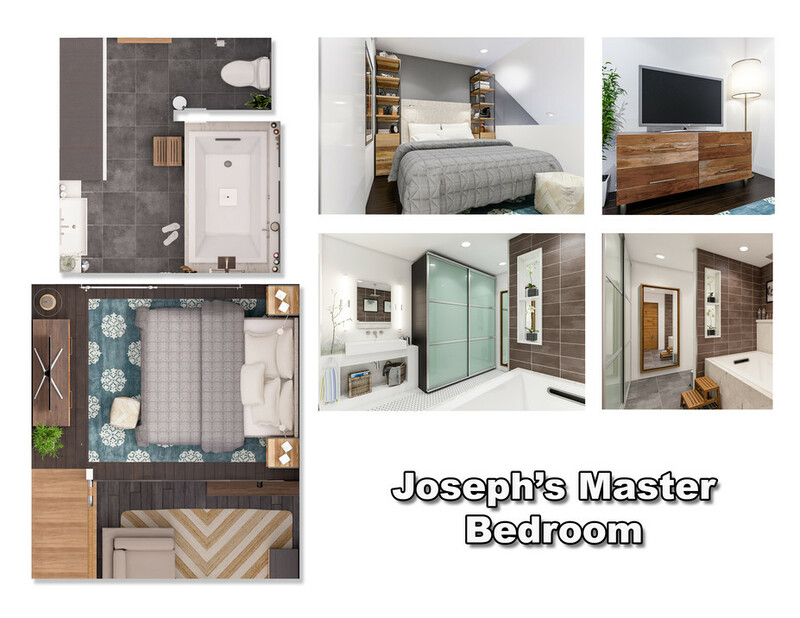 I have a bedroom and 1/2 bath that I want to turn into a bedroom and full bath. 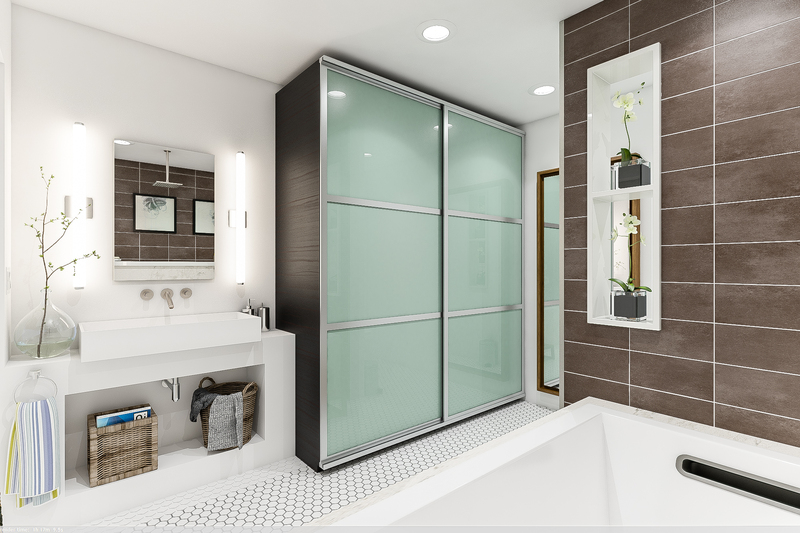 starting from the back where the bathroom is the length being 10' 6"
lip by window is 9"
lip by bed is 10"
It was a pleasure working with you and I can't wait to see your design come to life! Feel free to send progress photos. Great. 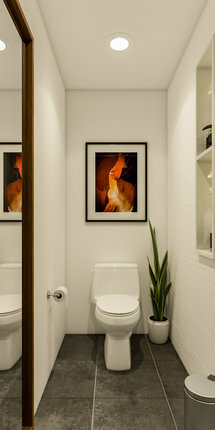 I hate to be a pain, but can you rerender the bathroom images with the reflection of the new white door? Thanks, sorry if I wasn't clear in the last couple of messages, but I would like to change the bedroom floor too. 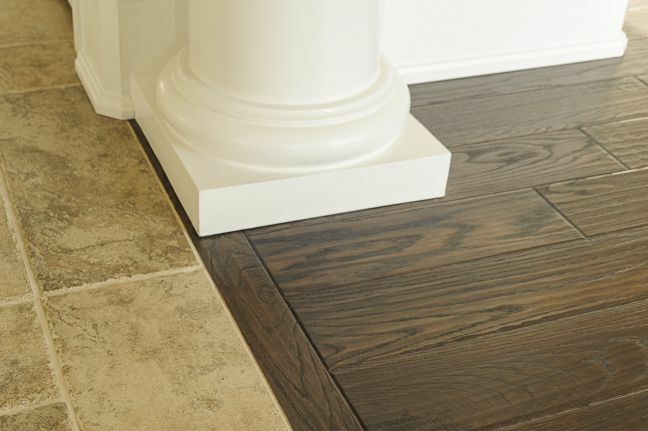 are you thinking of continuing the cement tiles or changing it to a different wood floor? Yea definitely the dark. What do I do about the transition from the wood to the tile? Does it matter? there are floor trims that can be bought at any hardware store. 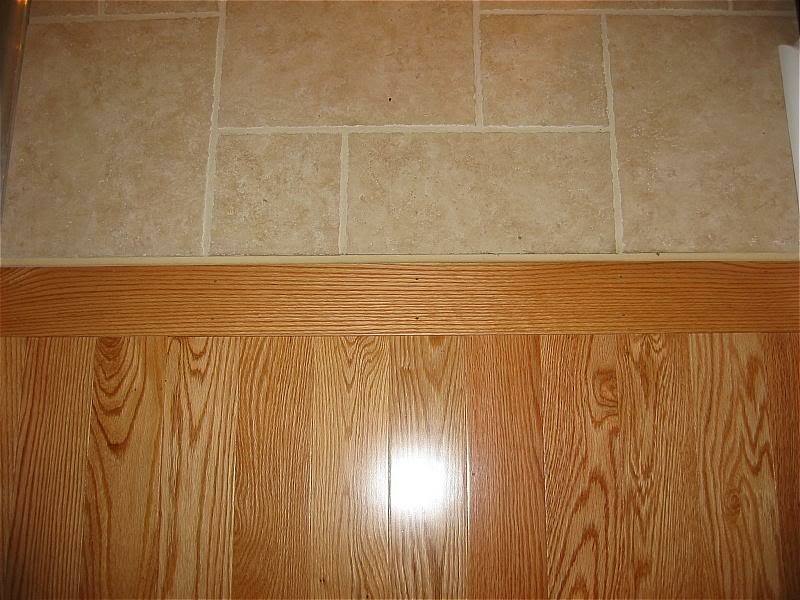 the images below are samples on how to transition from wood to tile, I'm pretty sure your contractor knows all of them. Let's do the white! What about the floor? For the bathroom, I like the gray tiles too, but if you dont mind doing a rendering with the mosaic I'd like to see it. Thanks for doing that. I agree the cement tiles still look better. 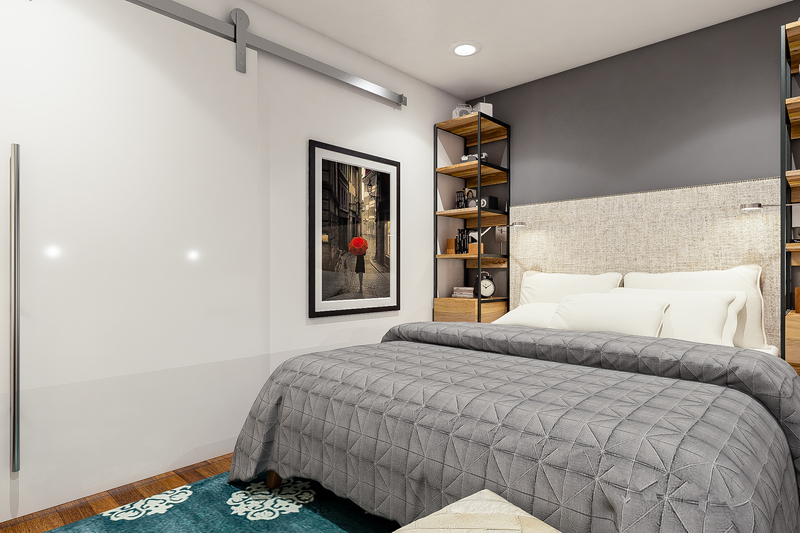 If everything is ok, you can approve the renders and we can start finishing your new master bedroom suite. Everything in the bathroom looks fantastic! 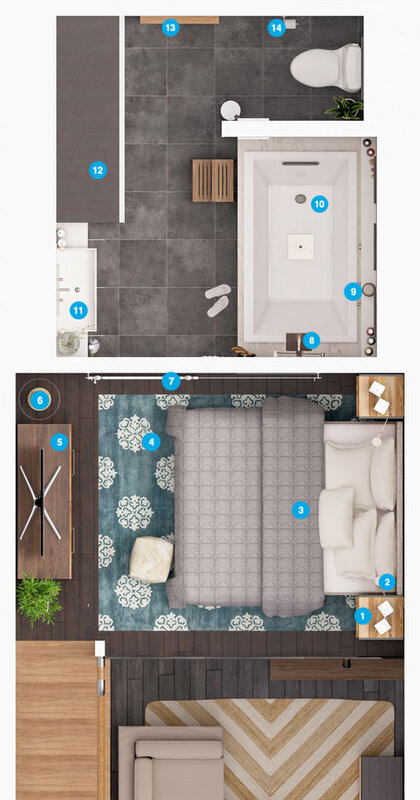 For the bedroom, can we try a different floor and different door? What kind of floor are you thinking? 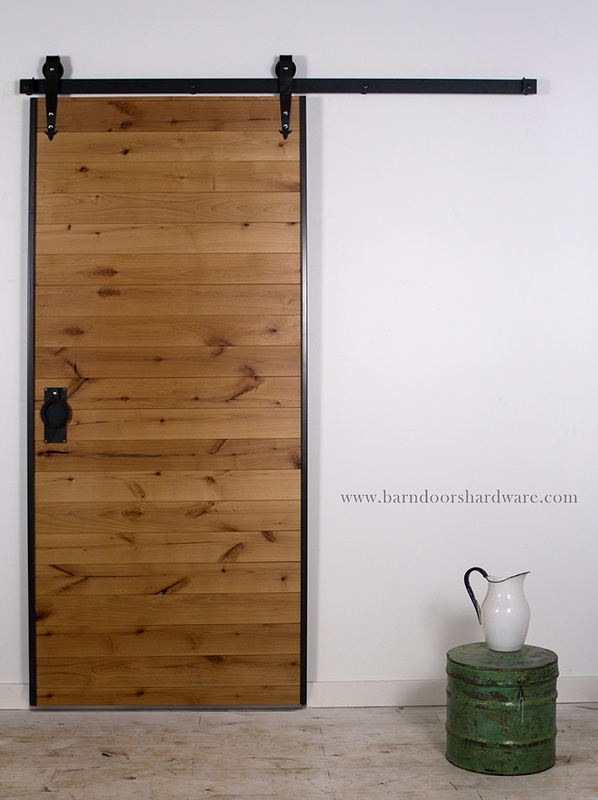 With the door, I only recommend either a pocket door or the barn door, do you want a pivot door? I love the barn door style in that it hangs over the entrance. I found a couple examples that I like. I like what you did in the bathroom in that you took it down from 'cabin' to modern, but still kept it warm. I can try the first one and the second one, the other two are almost the same as the one I picked out just different tint. Looks like I missed when you uploaded these renderings. Thanks for commenting again. I'd like the sink area to look more like https://www.pinterest.com/pin/573716440013315476/ where it doesn't look like a separate piece where there is very small width open shelving on the side to keep a few towels and other things. Under the sink can still have doors to hide the pipes. awesome, I'll proceed with the final view for the new vanity area, so hopefully we can finish before the week ends. with the sink area, are you ok with a buil-in design? I love the Inspiration you provided but that is a custom made. Yea definitely, hopefully I can make it work with the contractor. Ok I'll take out the wood accents, and the mosaic, I'll post the new ones as soon as I finish it. I'm waiting for you comments on the design. if you love it we can move forward to the shopping list. What is the smallest bed you are ok with? what do you currently have? Queen is what I have and that's also the smallest I would go. The contractor is going to make the balcony square at the longest length instead of round how it is now. It's not but extra space, but it's something. That is great!!! Man that curve ledge is really killing my space management. 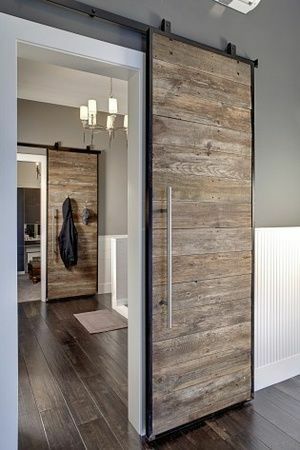 What do you think of this barn door for the new master bath. Hey, yea. This looks good to me. The floorplan is there. Let me know if you need more info. So, this is a little more complicated. I have a 1/2 bathroom in my bedroom and I want to change it into a full bath. The dimensions and pictures are in the project brief, but let me know if there is any more information or picture you need. * The glass 'bricks' wall to something more modern like clear glass. * All existing furniture can go. 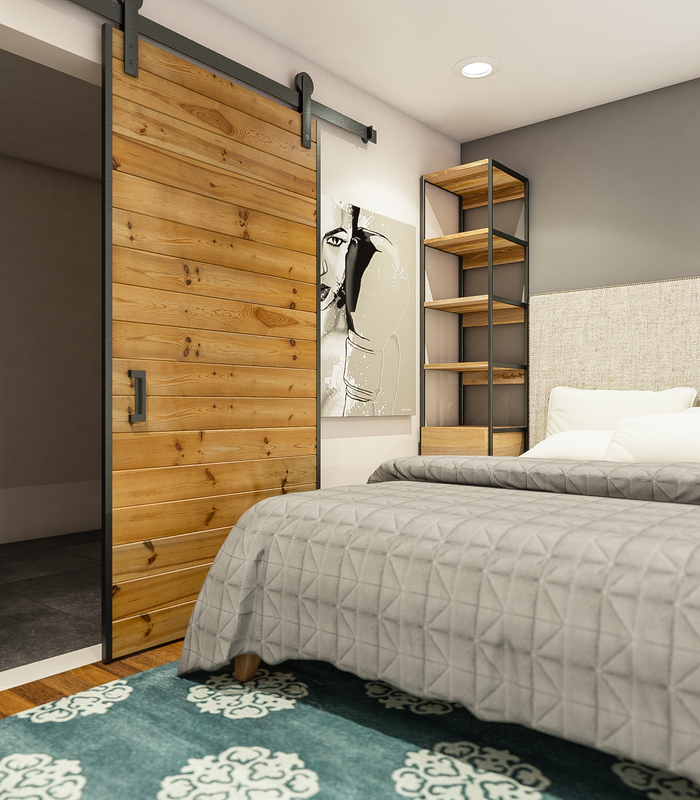 I'd like to keep bedroom furniture to a minimum and have a built in closet to keep everything. 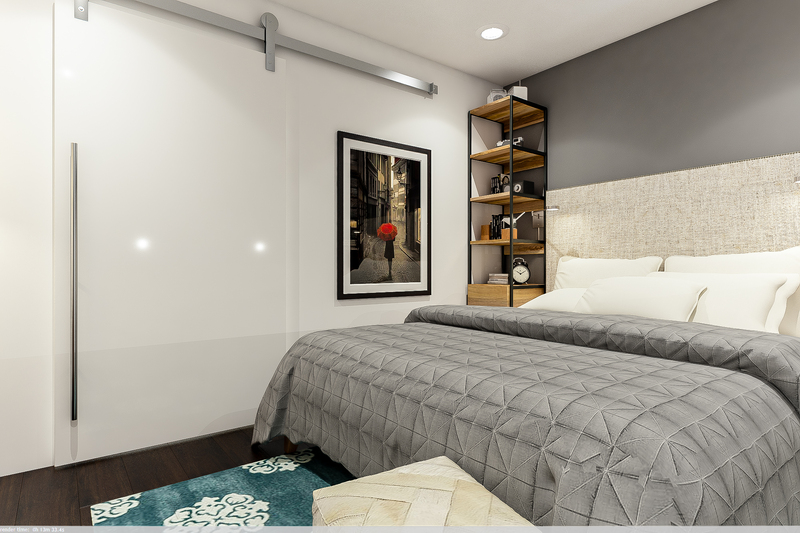 * The room has walls that stick out on each side as specified in the additional comment in the project brief. Let me know if you want me to draw this up to make it more clear. * I'm not sure what to do about closet space. It would be nice to have a walk in closet of some sorts, space permitting. 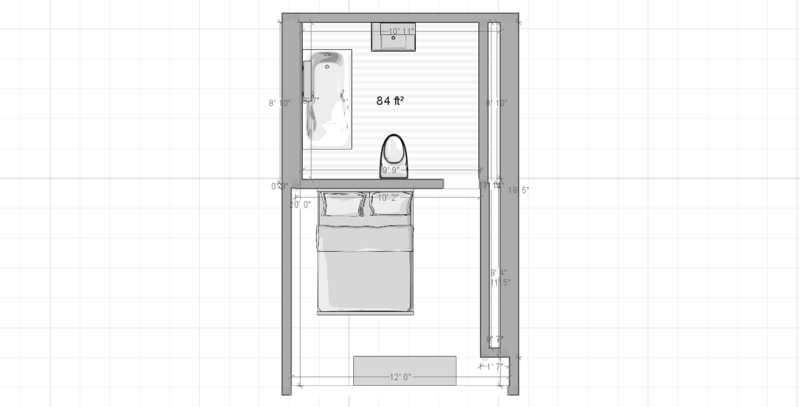 * The bathroom needs a tub, a shower overhead the tub, toilet, sink and some space to store towels and other bathroom supplies. This is the tub I am thinking about getting. Pinterest board for the bedroom. 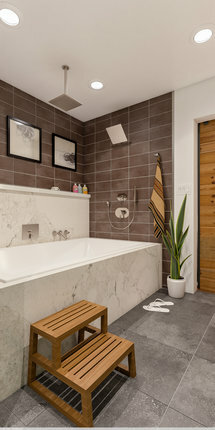 https://www.pinterest.com/pin/573716440013315368/ is my favorite, though I want the shower overhead in the tub to save space. Let me know if you need anything else and I'll get it to you asap. Is our design going to be a little modern like the kitchen? The samples I see in your pinterest likes are leaning towards it, I just want to make sure. I'll look over the info you provided, can you also put in some bedroom inspiration? Tall Nailhead Tapered Leg Bed - Linen Weave (Linen Weave - Queen) The complete package. In natural linen weave, the Nailhead Tapered Leg Bed features a lofty headboard and upholstered bed frame. Paired with the subtle curve of its saber legs, it's a sophisticated look for your bedroom. Headboard: Wood frame and legs. 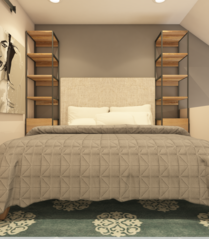 Bed Frame: Solid wood tapered legs. Linen weave upholstery in Natural. Antique Bronze-finished nailhead trim. Solid pine support slats included. 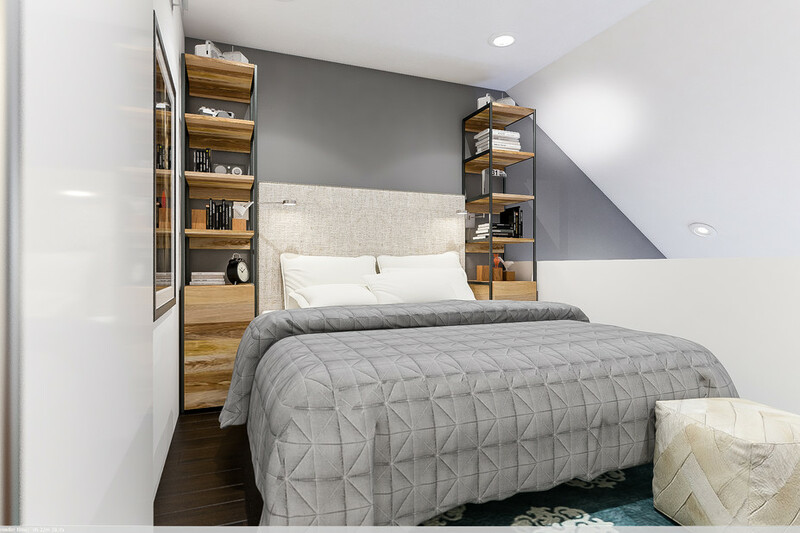 Accommodates most standard mattresses; box-spring optional. Imported. Online/catalog only. Discount link available to project holder only Queen: 66"w x 86"d x 58"h.
Soho Slate Blue/Light Blue Area Rug (SKU: FV14281) The Soho Collection is Safavieh’s response to market demand for clean, transitional design in rugs that work equally well in traditional and contemporary homes. The collection’s unique purity and clarity of the color is achieved by selecting only the purest premium New Zealand wool as a canvas for Safavieh’s exciting new color palette. Many of the designs in the Soho collection are accented with viscose for silky softness to outline patterns, and further highlight the softness of the wool. This innovative collection is hand-tufted in India. Discount link available to project holder only 7'6" x 9'6"
Junction low dresser (SKU: 503904) tale of two woods. Two-tone, four-zone storage contrasts dual timbers in striking low profile. Four super-deep drawers in bleached acacia wood highlight natural hi/lo tones and beautiful sweeping grain. Light drawer fronts play off dark mango wood frame stained a rich brown. Adding subtle industrial edge, iron drawer handles and feet are sandblasted then antiqued to a raw silver finish. Definitely a statement in the bedroom, but also entertains as a media stand. Discount link available to project holder only Width: 59" Depth: 20.5" Height: 26.5"
west elm + Rejuvenation Cylinder Floor Lamp (Floor Lamp) Created in collaboration with our sister brand Rejuvenation, this Cylinder Floor Lamp combines both of our philosophies, with its vintage-inspired design. 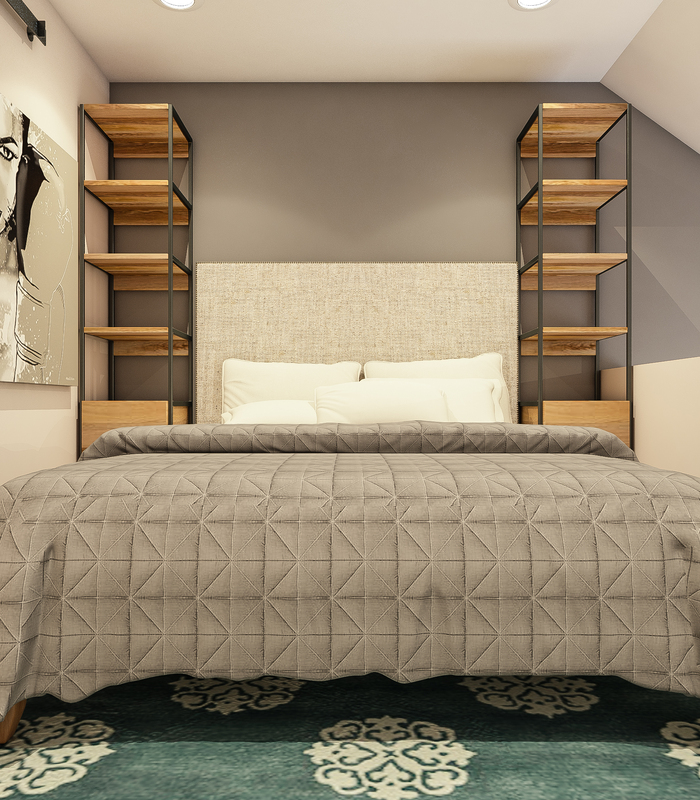 A slim profile makes it a great fit in small bedrooms and living spaces. Created in collaboration with Rejuvenation. Learn more. 15.5"diam. x 65"h. Antique Bronze-finished metal base. Antique Brass-finished metal accents. White linen shade. Black cloth-wrapped cord. Imported. 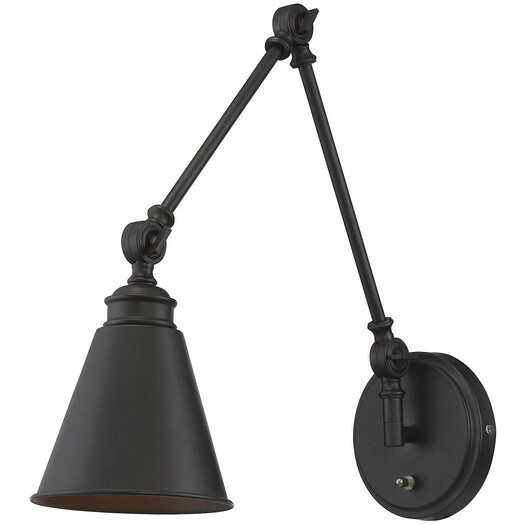 Discount link available to project holder only Overall product dimensions: 15.5"diam. x 65"h. Base dimensions: 9"diam. x 46.5"h. Shade dimensions: 15.5"diam. x 18.5"h. Cord length: 8'. Accommodates two 13W CFL bulbs (included) or two 60W incandescent bulbs (not included). Chain pull on/off cord. UL listed. Vigo Single Hole 2-Handle Wall-Mount Vessel Bathroom Faucet in Brushed Nickel (Model # VG05002BN) The Vigo Titus dual lever wall-mount faucet in Brushed Nickel finish is sure to bring a modern and assertive design to your home. Solid brass construction ensures durability and longer life. Vigo finishes resist corrosion and tarnishing, exceeding industry durability standards. Mineral-resistant nozzle is easy to clean High-quality brass disc cartridge ensures maintenance free use Water pressure tested for industry standard 1.5 GPM flow rate All mounting hardware and hot/cold waterlines included Standard U.S. plumbing 3/8 in. connections Pop-up not included Spout reach: 8-3/8 in. Center-to-center handle width: 8 in. Face plate width: 11 in. Face plate height: 3-1/8 in. Vigo wall-mount faucet is cUPC, NSF-61, AB1953 and WaterSense certified by IAPMO Discount link available to project holder only Spout reach: 8-3/8 in. Center-to-center handle width: 8 in. Face plate width: 11 in. Face plate height: 3-1/8 in. 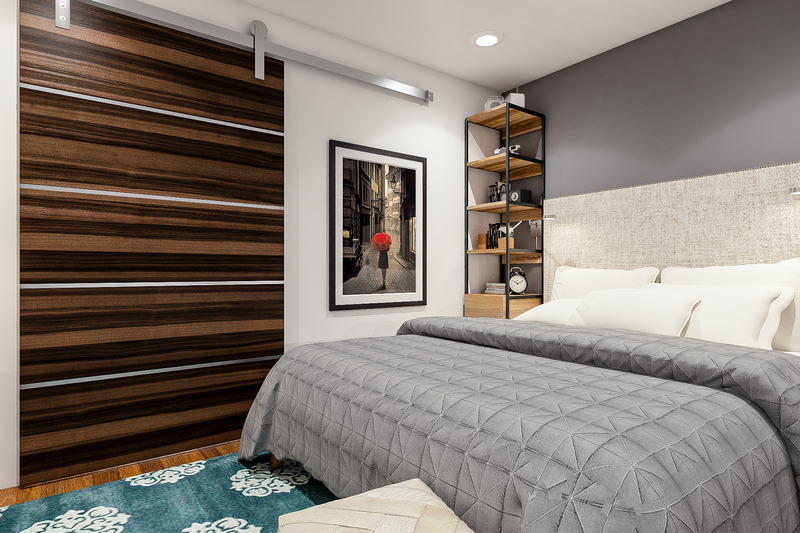 PAX Wardrobe, black-brown, Sekken frosted glass (Article Number: 990.256.38) Key features - 10-year Limited Warranty. Read about the terms in the Limited Warranty brochure. - You can easily adapt this ready-made PAX/KOMPLEMENT combination to suit your needs and taste using the PAX planning tool. 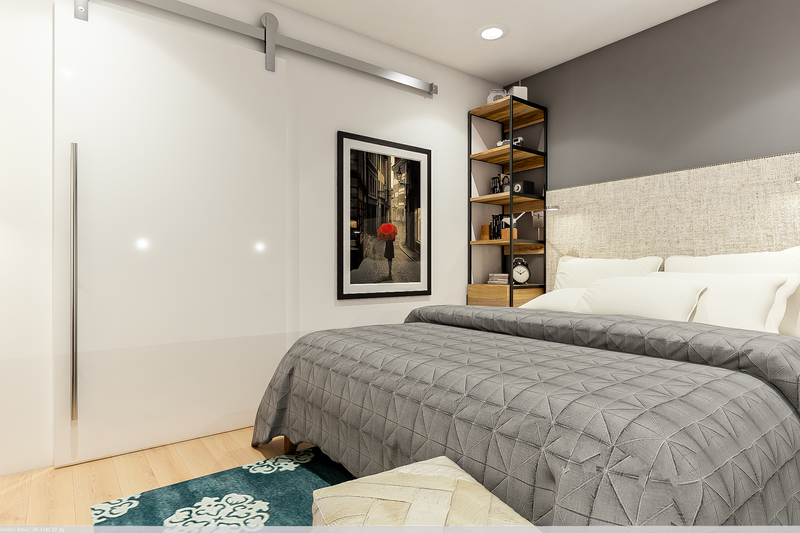 - Sliding doors allow more room for furniture because they don’t take any space to open. - The soft-closing device catches the running doors so that they close slowly, silently and softly. - If you want to organize inside you can complement with interior organizers from the KOMPLEMENT series. 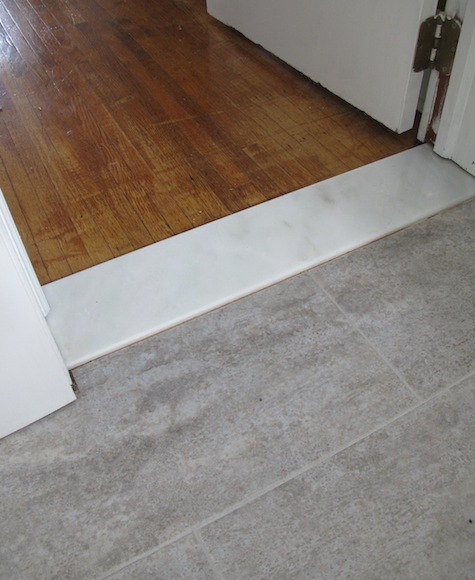 - Adjustable feet make it possible to compensate for any irregularities in the floor. Discount link available to project holder only Width: 78 3/4 " Depth: 26 " Height: 93 1/8 "
Floating Wood Floor Mirror (Chocolate stain) This expansive floor mirror appears to float within its solid wood frame. Long and tall, it’s perfect for brightening up dark corners or adding depth and dimension to a room. 30"w x 3"d x 72"h. Glass; solid wood frame. Imported. Discount link available to project holder only Overall product dimensions: 30"w x 3"d x 72"h.
Perspective 12 x 24 Porcelain Tile in Brown by Emser Tile (SKU: EMT3098) When you buy a Emser Tile Perspective 12 x 24 Porcelain Tile in Brown online from AllModern, we make it as easy as possible for you to find out when your product will be delivered. 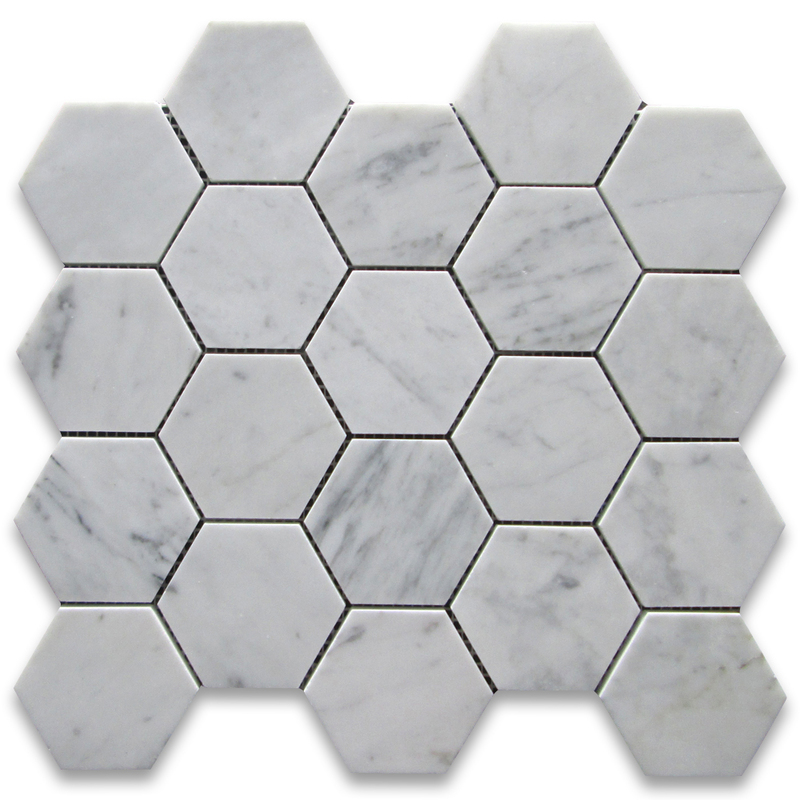 Read customer reviews and common Questions and Answers for Emser Tile Part #: F95PERSBR1224 on this page. If you have any questions about your purchase or any other product for sale, our customer service representatives are available to help. 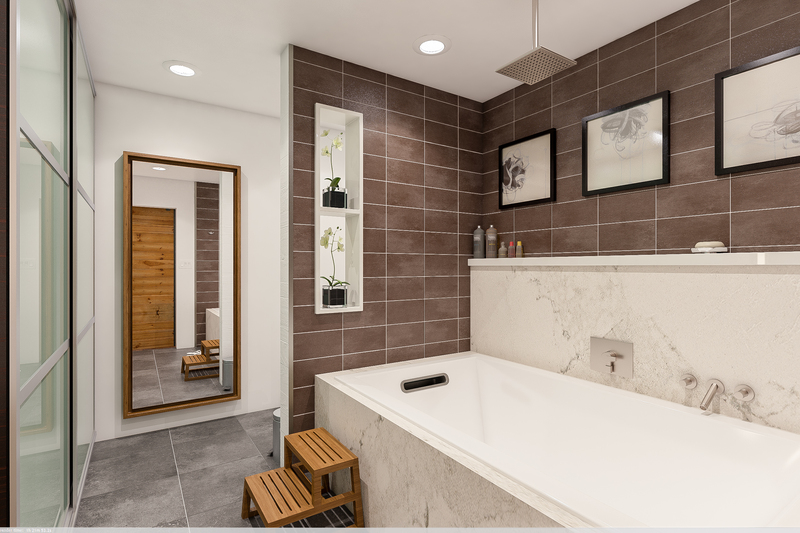 Whether you just want to buy a Emser Tile Perspective 12 x 24 Porcelain Tile in Brown or shop for your entire home, AllModern has all of your design needs covered. Discount link available to project holder only 12" x 24"